All iPhones with at least iOS 9 or later have this nifty feature called “Wi-Fi Assist” which basically helps fix the issue of Wi-Fi signals being a little spotty at times. 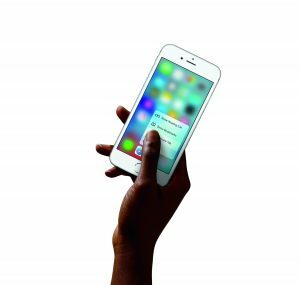 However, for prepaid iPhone users, it’s causing a problem: data overages. And the worst part is that the setting is turned on automatically. It seems like every time that a company offers a new update, something else breaks. And, it seems like Apple isn’t immune to this any more than any other company. According to iPhone users, the newest operating system from Apple, iOS 9, is causing issues for customers with phones on an AT&T MVNO. No matter how much I love my technology, personally… I think I love my kidneys more. And, before today, I thought that was a pretty normal and basic premise: kidneys first, technology second. However, it appears that for two men in China, getting their hands on the latest and greatest from Apple takes precedence over simple things like keeping both of their kidneys. 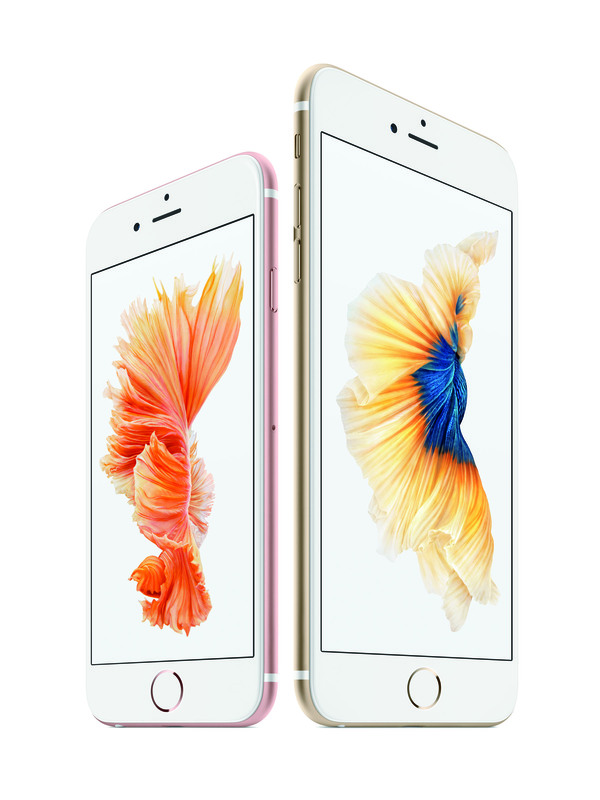 Should You Upgrade to the iPhone 6s? I’m sure that everyone has already heard, but on the off chance that you’ve had your head under a rock, Apple announced the newest iPhone last week, the appropriately named iPhone 6s and 6s Plus. Much like the 5s, the 6s has some upgrades over last year’s iPhone model as well as some new features that Apple fans are sure to enjoy. But, is it worth the upgrade? We’ll break it down to help you decide. If there is one thing that everyone–iPhone fan or not–can agree on, it’s that iPhones are pretty expensive. While I’ve got an Android phone sitting on my desk, I do have to admit that iPhones are pretty nice devices, and when purchased unlocked they can be used with quite a few prepaid carriers. The barrier there is mostly cost. 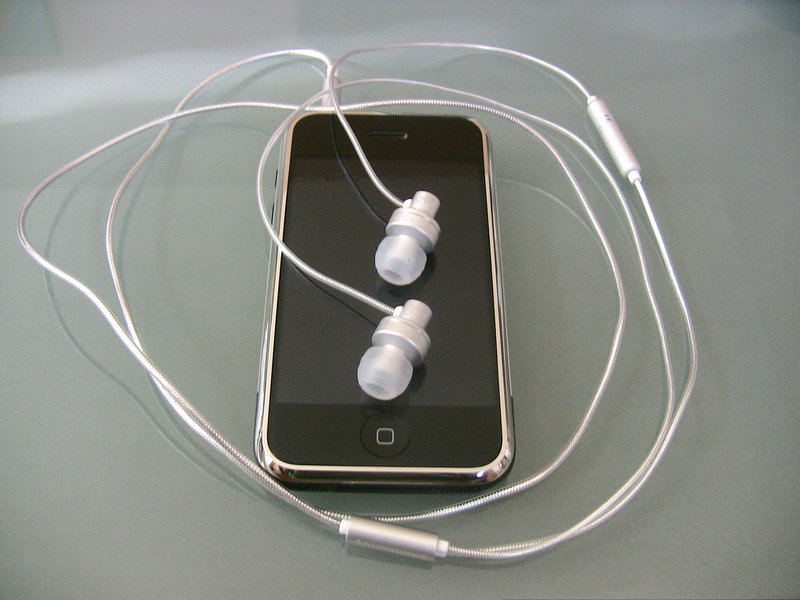 However, Apple has introduced a new iPhone Upgrade Program that could solve that challenge. If you have an iPhone and always wondered how the other half lives, then now is your chance. 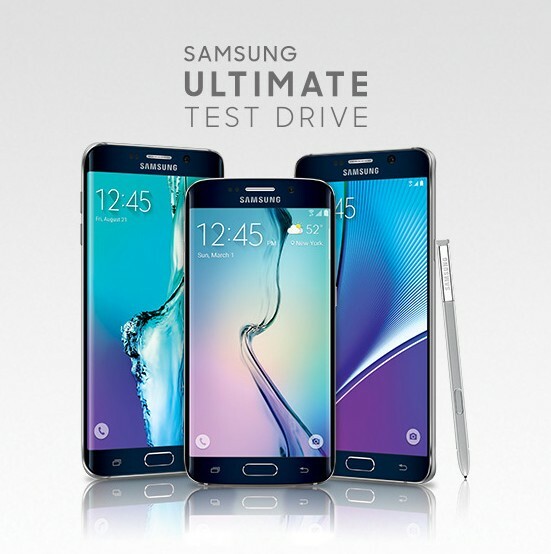 Samsung has announced a new promotion called Test Drive in which they are leasing their flagships to any eligible iPhone customer for $1 for 30 days of use. The phone will be shipped with a SIM card and once the 30 days are up, customers can either choose to return the device with no obligation or keep the phone and upgrade. UDATE: Apple is now saying that it has no plans to launch an MVNO, despite recent reports. I guess only time will tell. It’s absolutely no secret that Apple is a huge fan of controlling as much of the phone experience as possible from creating their own devices, operating system and app store. Well, according to an article by Business Insider, it looks like Apple is working slowly towards launching its own MVNO service as well. 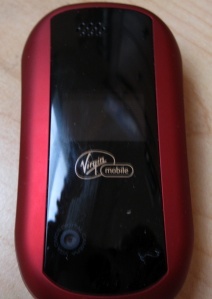 Virgin Mobile has sort of looked like an unloved (or perhaps just forgotten) stepchild in recent months. Unlike Boost Mobile, Virgin hasn’t really seen many updates from its parent company Sprint. Not only are its plans a little out of date, but its phone lineup seemed a little shabby and in February, the company completely removed iPhones from its stock. Well, it looks like one of those issues, at least, has finally been fixed and iPhones are now available from Virgin’s website. Normally I don’t care to write much about smartphone profit shares for the various different smartphone manufacturers because, let’s be honest, unless you’re actually working for one of those companies you probably don’t really care. But yesterday I saw a slew of articles about Apple pretty much taking over the profits in the smartphone industry and the numbers are rather staggering. So I’m breaking with my usual here. Bear with me. Apple products are ingeniously engineered and can be extremely intuitive and helpful a majority of the time. In fact, most of the little things that the iPhone does people don’t even notice. Well, until something is broken, that is. I am not sure how I missed it, but Red Pocket apparently is still running a fourth of July sale that could land some users with a pretty sweet deal. 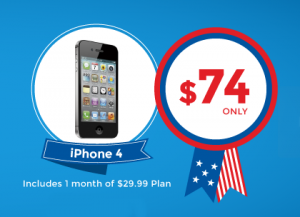 For a limited (and sadly unspecified) time, consumers can get an iPhone 4 and one month of free service for $74. Talk about awesome! Amazon does sales on bundles of apps pretty frequently, and Google Play Store does the same on occasion. However, for some reason I never think about checking iTunes for deals! However, it looks like Apple has a handful of games discounted for a limited of time. So, for all you iPhone lovers out there, here are 8 free games to make your weekend a little more fun! In mid 2013, Apple launched an extremely successful iPhone trade-in credit program that allowed customers with older versions of iPhones to sell them back to Apple and get a gift card towards a newer phone. That model has been working so well for Apple, that CEO Tim Cook has announced that he wants to launch a similar program in the coming weeks, but time time aimed at non-iPhone users. 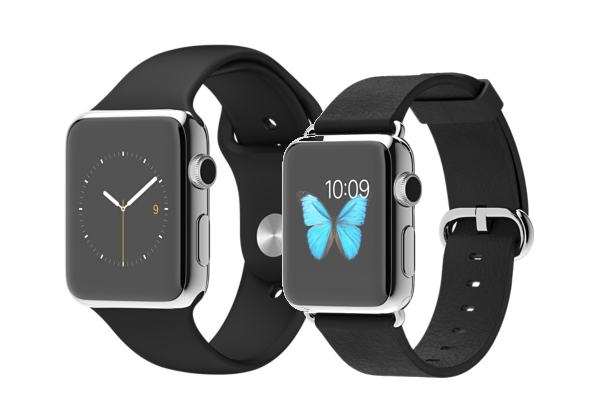 The smartwatch that every smartwatch enthusiast has been waiting for was finally announced at Apple’s “Spring Forward” event earlier this week. And upon reading the news releases and information that streamed in about the Apple Watch, I came to a conclusion: I am never getting one. If you have an iPhone 4s through Verizon, then I have great news for you: it’s now unlocked to be used on US and international GSM networks. You don’t have to call customer service and get lost in the black hole of Verizon holding music–it’s all been done automatically. While the price hasn’t been changed, if you’ve been holding out on purchasing an iPhone 6 for use on a prepaid, no-contract plan, then now is your chance! Apple has finally made the phone available, factory-unlocked, SIM and contract free on their website. Prior to this change, you could only get the iPhone 6 by signing up for a new plan with either a postpaid or with select prepaid carriers. When your average person runs out of storage space on your device–be it an iPhone, iPad, Android phone or laptop–the common sense thing to do is either delete something to make space, or to find alternative ways to store things (ie. cloud storage). But, now you have a new option: sue Apple. 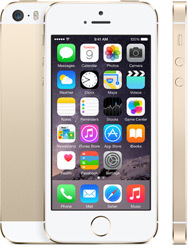 Studies show that if Santa brought you a cell phone for Christmas this year, it was most likely an Apple product. Of course, with the recent release of the iPhone 6 and the first ever iPhone phablet, the 6 Plus, I suppose it shouldn’t be surprising that holiday shoppers flocked to Tim Cook’s doorstep to complete their shopping lists. Apple probably has one of the most dedicated followings of any tech company in the market today, and it certainly shows. UPDATE: Apple has confirmed that the new 8.1 will support Apple Pay and that it will be available on October 20, 2014. The days of lugging around a cumbersome wallet might soon be coming to an end, according to leaked reports and speculation amongst the tech community. The recently debuted Apple Pay program promises iPhone 6 users the ability to pay for purchases with information stored on their phones via NFC technology starting this October. Well, after a month of waiting, it’s finally here! 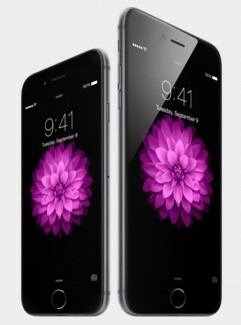 The new iPhone 6 and iPhone 6 Plus will be available via Boost Mobile on October 17, 2014. I couldn’t actually find the official announcement on the Boost Mobile page, but Phonescoop reported that they made the announcement early Friday morning. And, as expected, the phones will retail for $100 less than their normal market price. Everyone knows that iPhones are pretty valuable phones with a high retail value months and even years after their release. I’m not sure whether it’s because the phones are really that good or simply because Apple fans are very dedicated. But either way, iPhone thefts are incredibly common and there’s nothing worse than buying an iPhone from somewhere online and discovering that it was flagged as stolen and cannot be used. Now, there is a way to check that before you buy. As expected, Sprint’s prepaid brands Virgin Mobile and Boost Mobile have announced price cuts on the older iPhone models. This reduced price is labeled as ‘limited time’ on Virgin Mobile’s website, but I wouldn’t be surprised to see the prices to drop permanently soon following the recent release of the popular (and maybe slightly bendable) iPhone 6 and iPhone 6 Plus earlier this year. 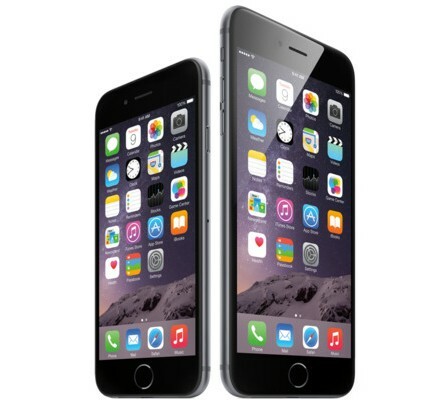 Users report the iPhone 6 Plus is prone to bending. Update: Apple has responded and said that claims that the iPhone 6 Plus bend under normal pressure from users pockets are ‘extremely rare’ and that rigorous testing is done on every device prior to launch including a ‘sit test’ where they simulate sitting with a phone in the back pocket of tight jeans. Sounds awful specific, but whatever floats your boat. Basically, Apple says too bad, so sad. Less than a week after the release of the long-awaited iPhone 6 and iPhone 6 Plus, reports are streaming in from all over the internet that the iPhone 6 Plus is bending in users pockets, proving that thinner, lighter and bigger might not be a good combo. After the record sales of the iPhone 6 and iPhone 6 Plus, some Apple fans might have to wait a bit longer for their phones. So, in the meantime, here are some useful, practical and fun accessories to consider while you anxiously await your new phone in the mail! U.S. Cellular has announced that they will be offering the iPhone 6 and iPhone 6 Plus today for both on contract and no contract customers, but I expect it will sell out pretty quick, so be sure to pick it up soon! The phones can be purchased online or by calling U.S. Cellular’s customer service line at 1-888-944-9400. 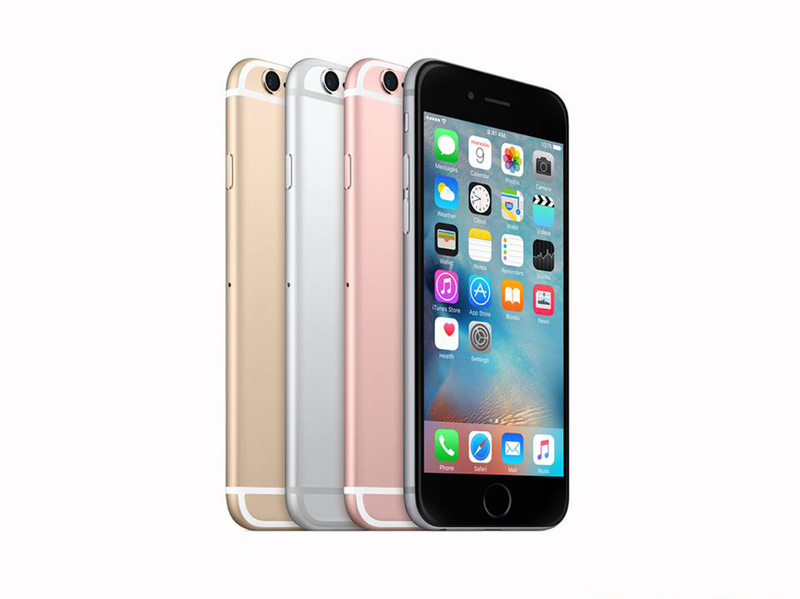 The iPhone 6 is available in three colors and sells for $649. The iPhone 6 Plus also comes in three colors and will retail for $749. On the heels of the hype over the new iPhone 6 and iPhone 6 Plus, Ting users can finally join in on the Apple craze. Sort of. Ting has announced that they will support the iPhone 5s and 5c starting Sept. 29 and users can activate iPhone models after that date. There is even a countdown on their blog post to the exact time you can activate your iPhone 5s/5c. It’s official: Apple will be restricting the use of NFC chips in the new iPhone 6, iPhone 6 Plus and Apple Watch to the Apple Pay service. Among dashed dreams of finally getting NFC technology to unlock phones, change settings and share information, Apple fans can take solace in the fact that Apple once also limited the use of Touch ID when it was first launched. Now, with iOS 8, that capability has been opened to developers. 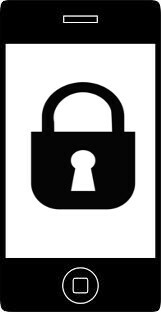 It’s therefore safe to assume that the NFC chips will also be released for use eventually. The MVNO Truphone has announced that it will offer the new iPhone 6 and iPhone 6 Plus on Sept. 26. While I am certain that all of the major MVNOs will carry the iPhone 6 eventually, Truphone’s announcement today is the first MVNO to confirm that they willl carry the new Apple product. 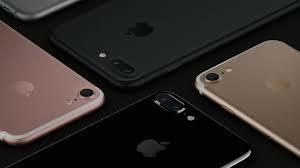 Apple has reported record sales of the new iPhone 6 and iPhone 6 Plus, with sales reaching four million within the first 24 hours of availability last Friday. Numbers for the weekend haven’t been released. In fact, so many people wanted the phone, some preorders aren’t expected until October as the number exceeded the pre-order supply. Apple’s site says that iPhone 6 preorders should ship in seven to ten business days while shipments of the iPhone 6 Plus won’t go out for three to four weeks. If you own an iPhone 5 (or know someone who does) purchased between September 2012 and January 2013, then you may need to contact Apple to get a new battery. Recently, Apple announced that a ‘small percentage’ of their iPhone 5 devices have a faulty battery which may suddenly stop holding charge for as long as it should. 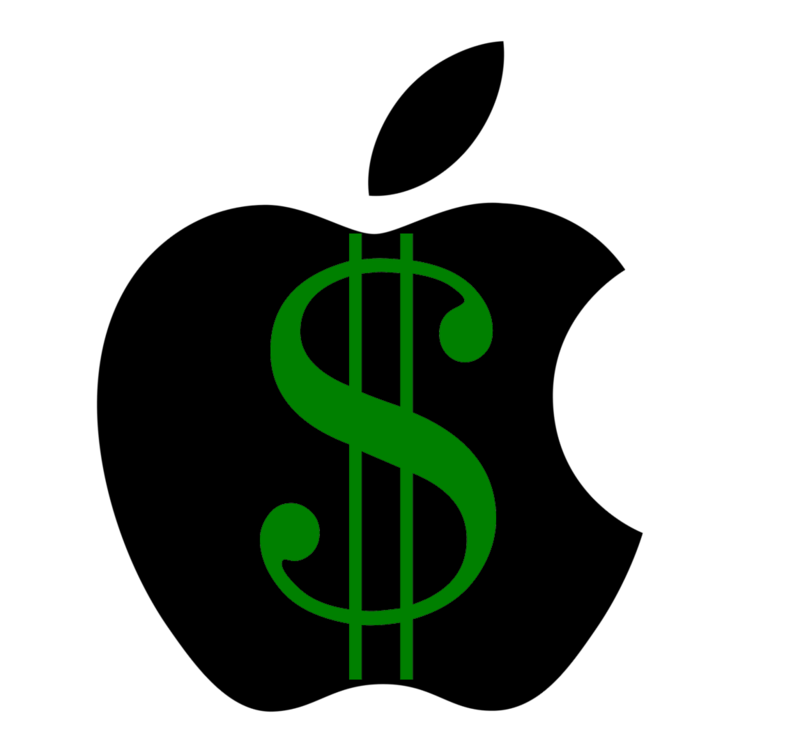 If you own an iPhone, then it is possible to use it as a pay-as-you-go phone via the AT&T Go Phone program. While you may not think that the AT&T Go Phone program supports an iPhone, it can be done without having to jailbreak your phone. For years, the Apple iPhone remained only available on AT&T. After an extended contract, individuals were able to finally use the phone on other major networks including Verizon and Sprint. The iPhone 5 is the latest in the most popular smart phone series in the world, but you may not be willing to sign your life away on a contract plan just to get it. If you would rather have a prepaid plan without having to sacrifice the features that you would enjoy with your new iPhone, there are a few providers that can help you out. They are listed as ranked by price, plan, and reliability. 1. Virgin Mobile leads the way for carriers offering an iPhone 5. You will have to pay $404.99 upfront to buy the phone, but once you do you can activate one of several of their No Contract plans. 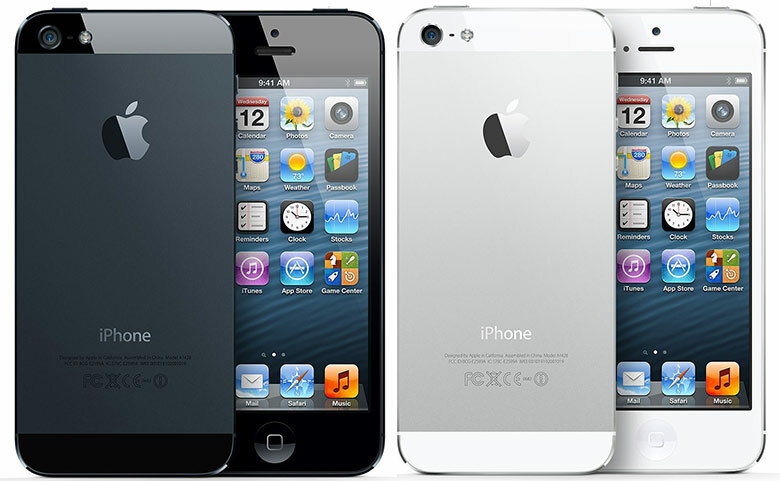 Of all the carriers offering iPhone 5 they make it the easiest for the customer and offer the best value and reliability. 3. 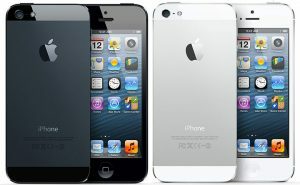 Verizon Wireless, like AT&T, will work hard to get you to accept a contract for a reduced price on your iPhone 5. They will give it to you for only $199 if you sign a 2 year contract, but staying month to month will mean purchasing the iPhone 5 for $649.99. Although providing more reliable service in more places than AT&T, the prices of their equipment and their monthly plans downgrades them significantly. 4. Boost Mobile is also entering the iPhone 5 race, and they are doing so competitively. You can get an iPhone 5 for $449.99 and qualify for a $55 monthly unlimited plan. The knock on them is a shortfall in reliability and availability that makes them a most questionable choice than the other big 3 providers. Whichever plan you chose, you are sure to enjoy the cutting edge technology and features of the iPhone 5 at a price that you can afford. Finally, it appears that we’ll get a true AT&T GoPhone version of the iPhone. Last month we heard that Apple was considering a lower-priced iPhone that would fit with AT&T’s prepaid lineup, and now we’ve heard even stronger word. Boy Genius Report reports that when Apple announces the next version of the iPhone, it will also announce a mid-tier model for prepaid. In fact, that mid-tier model might be the iPhone 3GS. It would cost “no more than $350” and would obviously not require a contract. The only drawback is that GoPhone offers terribly restrictive data plan tiers: $5 for 10MB, $15 for 100MB, and $25 for 500MB. Maybe they’ll announce better data plans along with the iPhone. In any case, it should be here in time for the fall. Will you get one, or willy you stick with cheaper prepaid options? When Apple and AT&T released the iPhone in 2007, they offered it without a carrier subsidy. That is, you had to pay the full retail price for the phone, which is something that we don’t normally see. Usually carriers offer a heavily discounted handset and get you to sign a two-year agreement in exchange. Without a subsidy, though, it appeared there was no incentive to sign a contract. At that point AT&T had a very popular $20 unlimited prepaid data plan, and there was a way to exploit the iTunes activation process. Things changed in time, though, and eventually AT&T decided to nix the iPhone on prepaid completely (though there were still ways around it). According to recent reports, compiled by Phil Goldstein at FierceWireless, Apple might have a prepaid iPhone plan of its own. We’ll lead off with the good news: AT&T will begin No-Commit pricing on the iPhone starting March 26. Yes, that means you can activate it on an AT&T GoPhone account. So finally you can get an iPhone 3G without signing a new contract. Of course, that’s about the only bit of good news that comes along with this plan. From here it’s all downhill. First up is the pricing: $599 for the 8GB and $699 for the 16GB. After the jump, more downsides, and a (supposedly) good reason not to take advantage of this offer. Back when we launched the Prepaid Reviews blog in June of 2007, the iPhone was a massively popular topic. 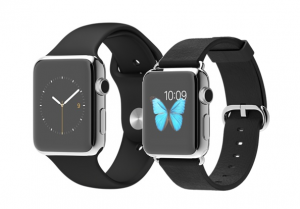 Apple was set to release the device at month’s end, and much hype surrounded the product. There were a number of rumors about using the iPhone on prepaid, but there was nothing definitive. The device was never officially offered on prepaid, though many figured out workarounds. Rumors surfaced again this year that AT&T would offer an iPhone with prepaid plans. MacBlogz has some information about this, though it’s not looking particularly pretty. When I first read this headline of this InformationWeek article, I immediately thought, “oh, prepaid!” After reading the few paragraphs, though, I found that this is not the case. In fact, I don’t like this idea on two levels. Yes, it’s nice that AT&T will sell refurbished iPhones. It’s a great way for customers to save money, and in times like these that’s always a plus. However, it still has that nasty two-year contract attached, making a refurbished iPhone 3G, at a $50 discount, much less palatable. Can the iPhone Go Phone? Ever since the inception of the iPhone last year, we have been following the trends in using it on a prepaid basis. While AT&T GoPhone prepaid service leaves a bit to be desired, it still beats signing a two year contract. The first time around, it seemed fairly straightforward to activate an iPhone on prepaid. Since you were paying full price for the device, all you had to do was get a little creative. As in, enter in a fake social security number so your credit is rejected. This time around, though, with the subsidy, things haven’t been so easy. So can you get the iPhone 3G on prepaid? We’re back today with our second handset review. A few weeks ago, we reviewed the Samsung Slash. Sticking with Virgin Mobile, today we’ll take a look at the Arc by UTStarcom. The phone launched in July, and has since come out in various colors. One poster on Howard Forums noted that a gold version is available at Target. I got the red one. Apple readying iPhone Nano…for prepaid? We’ve talked a bit about manipulating the system to get a prepaid iPhone 3G, and there seems to be at least a fledgling demand for such a device and service. A recent rumor might satisfy some of you, then. This comes from an anonymous “industry source,” so take it with a grain of kosher salt. This comes from All Headline News, citing the London Daily Mail. They not only repeat the old rumor that Apple could be producing an iPhone Nano in time for the holidays, but it could be targeted to prepaid users. Do you really want an iPhone on prepaid? I’m wondering if this would work. 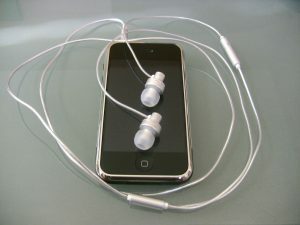 PhoneNews.com last week posted a guide on how to get the iPhone 3G for $199, without a contract (emphasis on that last part). There’s some strange math there, including buying a phone on the cheap, and then selling it on eBay for a profit. However, if you’re willing to drop an extra $170, for the early termination fee, you can have the iPhone 3G for $369. At least we think that’s how it works. I’d like to think that if something happens in the prepaid wireless world, we’re pretty quick to it on Prepaid Reviews. After all, that’s the sole point of our existence: to keep you informed on what’s going on with your service. Thing is, many companies like to plan their announcements with regard to what other, bigger companies are doing. And what’s going on today? Even if you’re not a cell junkie, and hell, even if you don’t own a cell phone at all, you certainly know that the iPhone 3G debuts…well, debuted not so long ago. Yes, competitors like BlackBerry aren’t staying as quiet. But for the most part, silence is the word in the industry today. Something we did not know: There is a vast hacker community in Australia. They’ve apparently worked wonders with the Internet, Unix, and TiVo, making them more accessible to the masses. So it only makes sense that they’d make the iPhone one of their projects. Never mind that it’s not available in the country — Apple won’t even ship it there via Internet orders. That hasn’t stopped them. And so Australia is seeing a growing number of iPhones running on their prepaid networks.